An L.L.L.P. is a Limited Liability Limited Partnership. Here are the two big benefits of this entity. First, it protects the partners from liability when the partnership is exposed to a lawsuit. 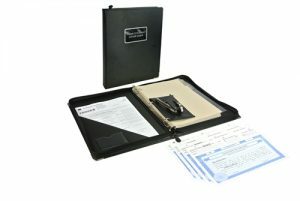 Second, it provides asset protection. That is, when someone sues a partner, personally, it protects the assets inside the partnership from being taken by the judgment creditor of a partner. So, whether the lawsuit comes from within the company or directly attaches a partner, the LLLP can provide a legal barrier. 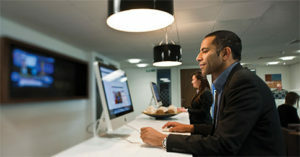 This type of partnership also provides limited liability for the general partners of the limited liability partnership. This is unlike a limited partnership, where the general partners are jointly liable for all obligations of the partnership. Limited Partnership law and the limited partnership agreement remains in effect. The longstanding asset protection case law history provided for by limited partnerships are used to provide support the asset protections inherent in the law for this entity. In most states a Limited Partnership may register as a Limited Liability Limited Partnership. The limited partnership may become a limited liability limited partnership by a vote and amendment to the partnership. In most states the partnership will continue as the same legal entity that existed before. Many other states are beginning to recognize the Limited Liability Limited Partnership. Though California does not have a state statute allowing formation of a California LLLP, it does recognize LLLPs formed under the laws of another state. General Partners have limited liability similar to shareholders of a corporation. Does not change the benefits of the partnership such as partnership taxation which is not available to one who incorporates. Reduces the potential liability of the general partner. Limited Partnership asset protection law shows a vast history of “case law” proving that the LP provides asset protection when the owners of an LP are sued. 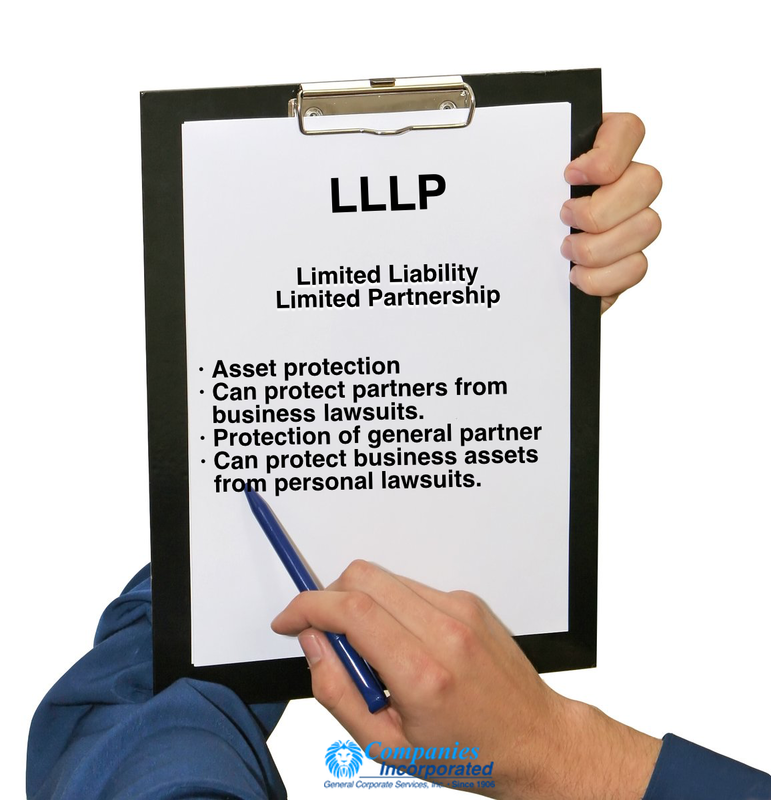 However, the LP has a legally vulnerable “general partner.” When the business is sued this entity carries with it the strong asset protection inherent in LP statutes and also has the advantage of providing liability protection for the one holding the position of “general partner” on behalf of the LLLP. To form an LLLP is somewhat similar to incorporating. Special articles are filed with the state government. Legal endings are as follows: Limited Liability Limited Partnership, LLLP, or L.L.L.P. The information presented on this website is designed to provide accurate and authoritative helpful information and research support with regard to the subject matter covered. It is presented with the understanding that Companies Incorporated is not engaged in rendering legal, accounting, or other professional advice. If legal advice or other expert assistance is required, the services of a competent professional person should be sought.